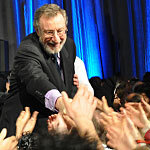 Harry Palmer, author of the Avatar materials, greeting students at the close of an Avatar Wizard Course.There are moments on The Avatar® Course when all thought processes stop, and one becomes fully aware of existence without creating any reaction or response to it. Self moves beyond the scope of daily concerns, slips time and definition, and realizes itself as a facet of the descriptionless source from which all things, real or imagined, have their beginning. It is a moment of intuitive insight. An epiphany. This is the transcendental experience. It turns the abstractions of philosophy into an experience that is profoundly more real than any other life event. It is a spiritual awakening. A wave of under-standing is released that flows backward into the past and forward into the future of your life. The upsets and injustices of the past are soothed. The fears and anguish of the future fade back into the imagination. This is consecrated ground. This is the divine connection, the source from which all differences arise and to which all differences ultimately return. It is an eternal moment in which the seer and the seen, the knower and the known, share the same root. In this state there is no conflict with the interests of others, no struggle between opposites. With crystal clarity, you know both your own suffering and the suffering of the world as the result of the arbitrary structures of indoctrinated preferences and judgments. The illusion of separation vanishes. In all probability, your eyes will overflow with compassionate tears, and your heart will open to more love than you can imagine. Attention-energy, once trapped in emotionally painful memories, returns to empower the senses to new thresholds of perception. Detail and beauty return to the world. Buddhist scriptures have called this state of awareness nirvana. Hindu scriptures have called it Brahman. Christian scriptures have called it Christ consciousness. But the experienced Buddhist, Hindu or Christian will all quickly tell you that nirvana, Brahman, or Christ consciousness are really just labels that point to an experience that cannot be described or conveyed by words. The mind struggles with concepts such as "eternal and infinite sea of awareness," "being a clear descriptionless void," "formless and unnameable wellspring of life." So just relax and enjoy the experience. The Avatar students, who typically encounter this state in the third or fourth day of training, refer to the state as "source awareness." Presence replaces preconceived notions. Observation replaces judgments. Self-criticism and asserted rightness give way to a nonjudgmental, compassionate view of existence. The value of Avatar (and the principle reason for its worldwide success) lies not in the written materials which admittedly are fascinating, not in the discussions which are lively, not in the lectures which are often insightful, but in the ability of the well-trained Avatar Master to lead a student through a precise series of practical exercises that unlock the mind and open the path to this often-sought-but-seldom-obtained state of being. When you can experience yourself as distinct from the intellect, you are able to see the patterns of assumptions and beliefs that filter and distort your understanding of (and control over) reality. The Avatar Master is the key. The path is narrow and its sides slope steeply. The unguided seeker is more likely to fall into delusion or discouragement than he or she is to find enlightenment. You can't see something while you are being it. You can't drive a car by looking at the road behind you in the rear view mirror. The great trap—and whole nations have succumbed to this trap—are the leaders and teachers who preach out of their own experience of delusion or discouragement. 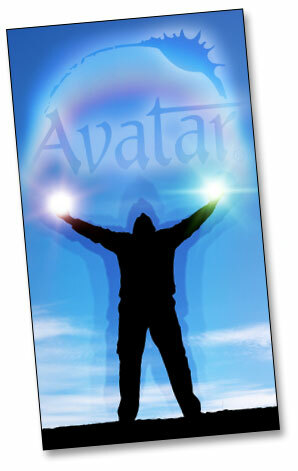 It is the world's misfortune that they didn't have an Avatar Master who knew the path. When you can experience yourself as distinct from the intellect, you are able to see the patterns of assumptions and beliefs that filter and distort your understanding of (and control over) reality. These beliefs, either because they were indoctrinated to serve someone else's interest or because they were embraced in a painful moment of fear or confusion, are rarely beneficial to you. More likely, they are limiting and self-sabotaging. In the worse case, they are completely debilitating. Collectively, they determine your viewpoint of life, but they are hidden from the ordinary intellectual awareness. The difficulties for a non-Avatar are first, discovering the existence of these beliefs (along with the motives that are sustaining them), and second, replacing these beliefs with a self-controlled discriminating wisdom. Both of these difficulties, as well as many other potential difficulties, are resolved by learning to use the Avatar tools skillfully. Freedoms replace limitations. Opportunities replace problems. Enemies turn into allies. How many aspects of reality are determined by the viewpoint that you hold? More than you might think. Change your viewpoint, and you can change your life.